Outside of the US, Cardas products are imported by distributors. 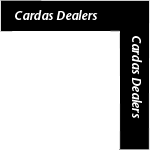 Our distributors have their own dealers for Cardas products. Please contact the distributor in your country, and ask where Cardas products may be purchased.